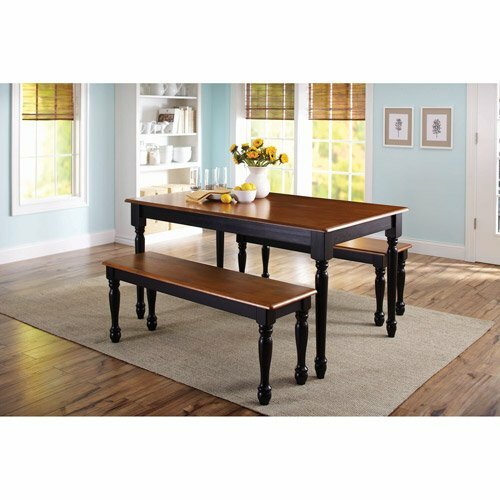 Have supper in high end and remarkably comfort with Norfolk dinette table sets. This kitchen table set gives high quality style and design with a touch of class to provide dynamic elegance to any small dining table. A handy 12 inch self-storage extendable leaf gives more space. 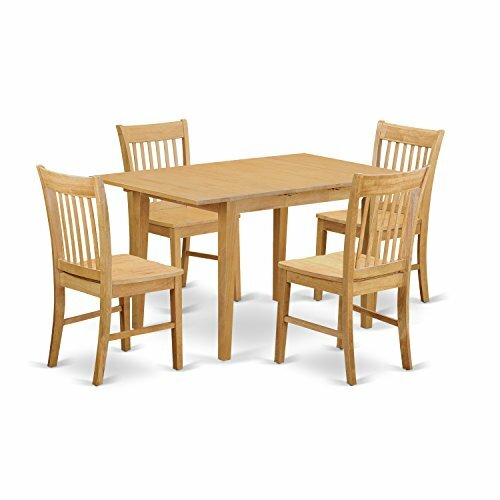 Norfolk kitchen table sets are constructed from the best Asian wooden. Wood or upholstered seats present gorgeous style and design and ease and comfort to this table set. 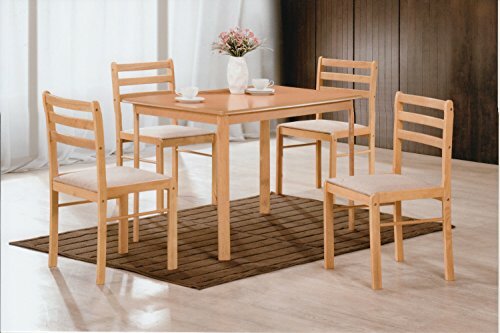 Include: Norfolk 5 piece Set includes one rectangular dinette table with 12in extension leaf and 4 matching dinette kitchen chairs with wood seat. 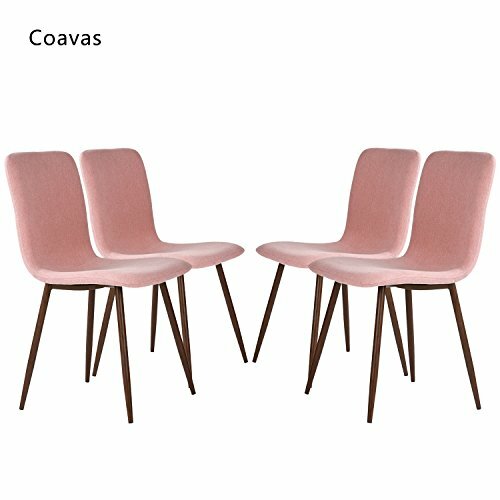 Main data of dining room kitchen table chairs: 1.Color: Pink 2.Quantity: 4pcs in one carton 3.Chair size(L*W*H): 17.7*16.5*34.8 inch, detailed data can be found in the display picture. 4.Material: back and cushion is fabric linen, neat and durable, legs is metal with rubber protection rings. 5.Weight: 4.5 kg for per chairs, quite light but strudy. 6.Usage: Modern dining chairs suitable for kitchen dining room, coffee room,resting room,entertainment centres,and the ergonomically curved form is perfectly adapted to the shape of the body,bring you more comfortable. 7.Package included: chair back, metal legs, cushion, different size screws and installation map. 8.Loading capacity: 250lbs with sturdy metal legs with X-shape seat back support. 9.Dining chairs is perfect for a small family in a modern home or a forward-thinking business looking to upgrade its office facilities or client-facing waiting areas. Classic Windsor Chair with comfortable large backrest and seat area constructed of solid Beachwood. Sold in Set of 2. Fully Assembled. For a timeless appeal that will enhance the beauty of your dining room, look no further than this transitional style inspired dining set. This set showcases a robust wooden construction for lasting quality and looks. The rectangular table top comes with bronze nail head accents and rests upon stylish double pedestals, with an 18-inch expansions leaf which offers extra dining space as needed. The chairs feature a vertical slat back design and contoured wooden seats. Finished in dark oak for a natural luster. Set includes one (1) dining table and six (6) dining chairs. Made in Vietnam, assembly required. Table dimensions: 30"h x 42"w x 60-78"d; chair dimensions: 40"h x 19"w x 23"d; seat height: 17 inches, seat depth: 17.5 Inches. All décor items are not included in this offer unless specified. Would you like to convey a new look to your kitchen space, dining-room or deck? 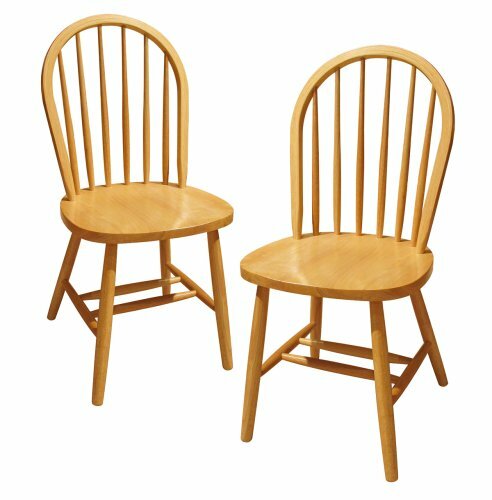 This high-quality wooden table and chair set for sale in a fantastic Oak finish could work as a part of your furniture set. The set consists of a table and a set of four chairs with comfortable seats and a long bench. As with all our products, the dinette table set is manufactured out of Rubber wood also referred to as Asian Hardwood so that you can expect a combination of style and robustness. This tropical extraordinary wood can tolerate various changes in temperature and thus allows for easy maintenance. Because of the traditional Oak finish that's available this product could be combined into almost every color palette and it can accentuate both classic and contemporary design styles. 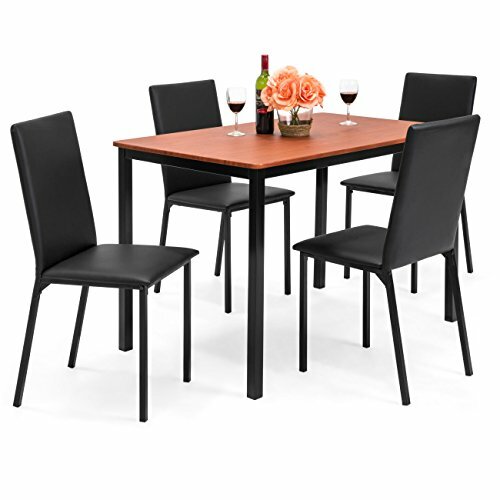 This Hodedah five piece dinning set includes a rectangle table with four matching upholstered chairs. Perfect for tight spaces or as a breakfast nook. This dinning set can be used in your kitchen, studio, or college dorm. 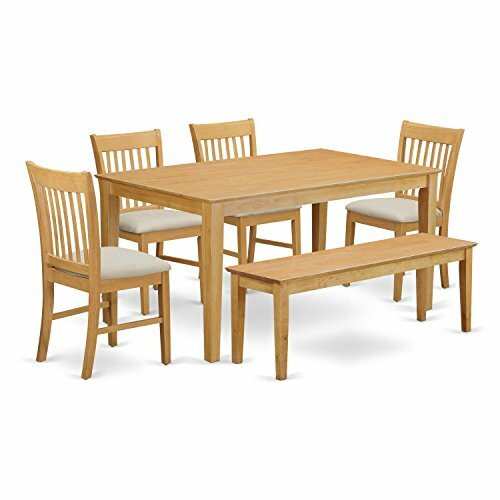 With a very small footprint, this dinning set gives you the opportunity of taking your dinner on the couch to a formal dinning place. 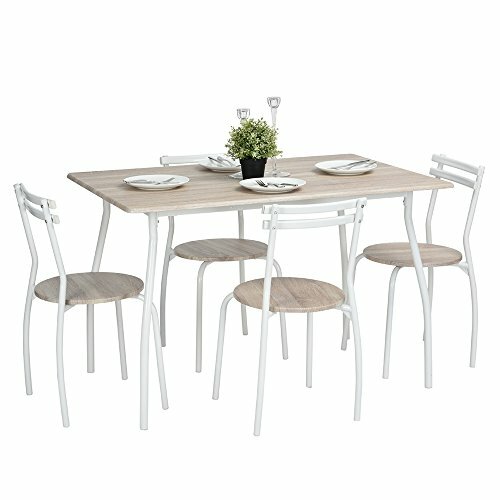 Looking for more Wooden Dining Table Set similar ideas? Try to explore these searches: 2002 2003 Dodge Ram, Deep Oval Serving Bowl, and Collapsible Silk Top Hat. 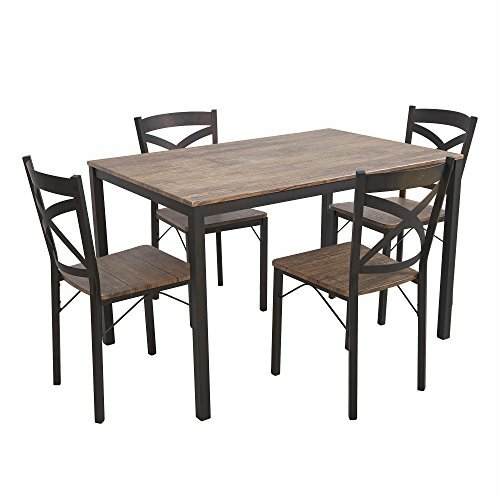 Shopwion.com is the smartest way for comparison shopping: compare prices from most trusted leading online stores for best Wooden Dining Table Set, Skin Envelope, Hpi Racing Baja, Set Wooden Table Dining . 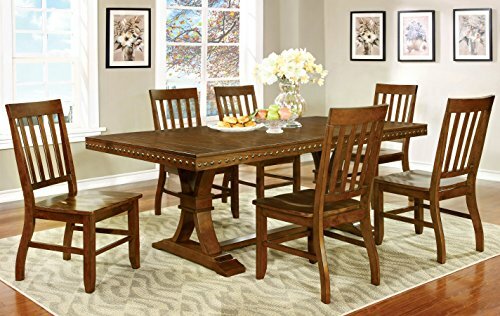 Don't miss this Wooden Dining Table Set today, April 19, 2019 deals, updated daily.